Is there a better alternative to SW: Attack of the Clones Icons? Is SW: Attack of the Clones Icons really the best app in Icons category? Will SW: Attack of the Clones Icons work good on macOS 10.13.4? 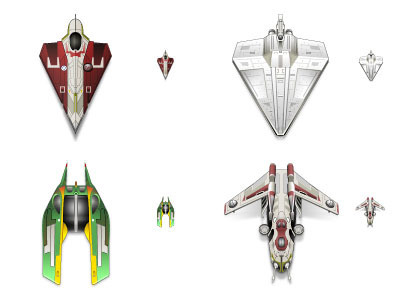 SW: Attack of the Clones Icons contains 5 MacOS X icons featuring different ships that were seen in the Star Wars Episode II: Attack of the Clones movie. MacOS X 10.0 or later (compatible with MacOS 8.5 or later though). SW: Attack of the Clones Icons needs a review. Be the first to review this app and get the discussion started! SW: Attack of the Clones Icons needs a rating. Be the first to rate this app and get the discussion started!